Our Mission is to facilitate one’s connection to self, each other and the environment. Participants on our programs have a greater appreciation, and understanding of their own resources, of other individuals around them, as well as a better sense of their place in the natural world. Self reliance, compassion, service, centeredness, physical fitness and interpersonal community-building, as well as caring for, and understanding of the natural environment, are hallmarks of our mission. 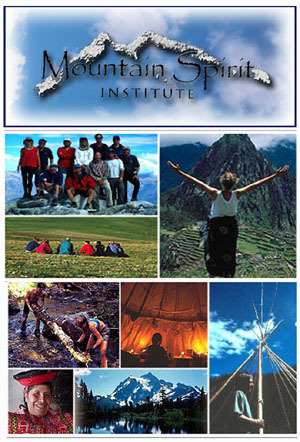 We’re a hybrid, a cross between an experiential wilderness program, and a holistic learning center, with a continuum of elements from both experiential education and spiritual development. Some programs are solely wilderness based, while others are workshop based, but both have their roots in our unique mission. MSI is committed to raising public awareness of enviromental issues that directly affect our lives, such as global climate change, peak oil and sustainable living.